Design drawing in pen and ink and watercolour on two sides of the same sheet. 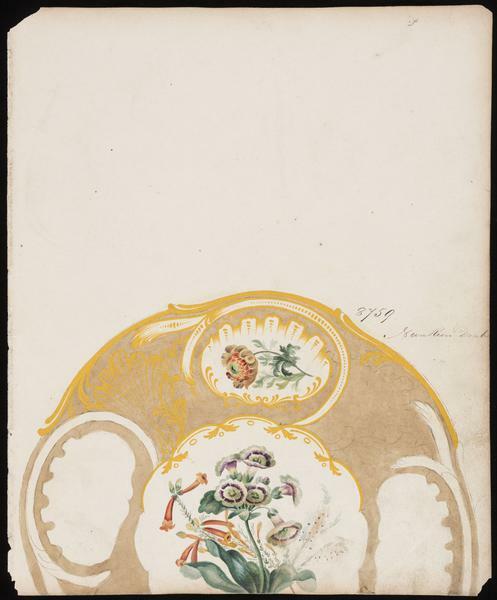 On the front is a design for a plate, decorated with flowers and numbered 8759. 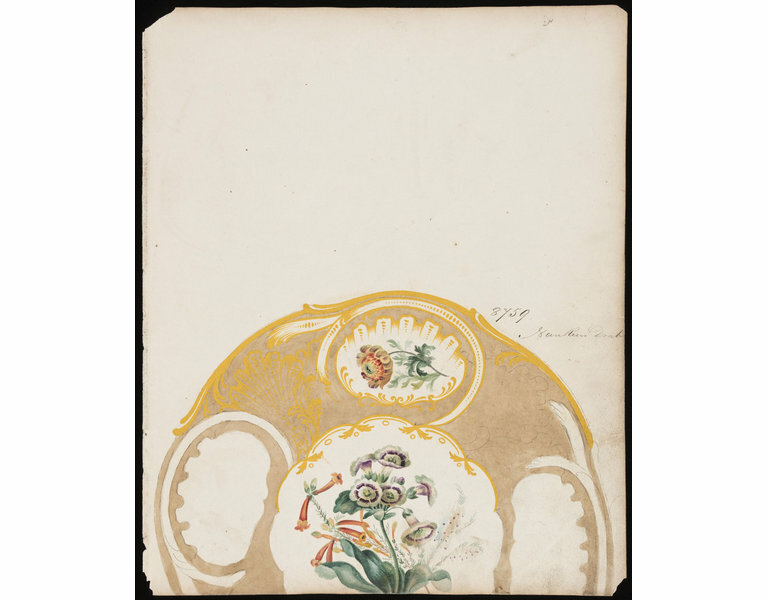 On the reverse is a design for a plate, decorated with flowers, numbered 8761 and the words 'Shrewsbury Green' written at the centre. 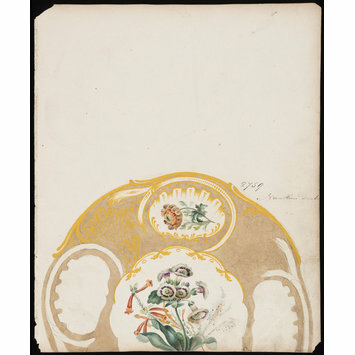 Design drawing for plates by the Daniel Factory, Stoke on Trent, about 1840-46.